The Bjarke Ingels Group (BIG) is returning to the National Building Museum shortly after its hugely-popular, and highly-traversed maze installation in the building’s Grand Hall. This January, the museum will present what is essentially a retrospective on BIG’s work called HOT TO COLD: an odyssey of architectural adaptation. For the exhibition, the museum will suspend 60 three-dimensional models of BIG’s work and premier Iwan Baan photographs of some of BIG’s latest projects. 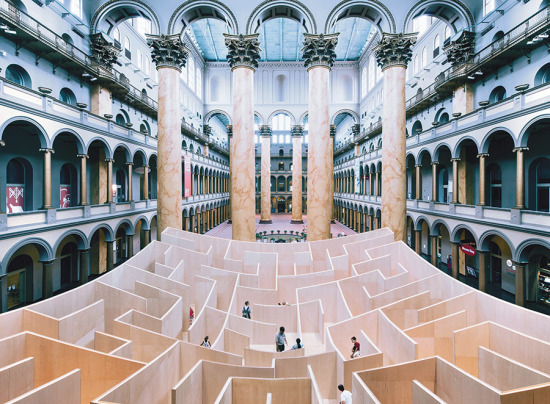 “What’s so special about HOT TO COLD is that BIG has perceived the National Building Museum more as a site for a project, rather than as a venue for an exhibition,” curator Susan Piedmont-Palladino said in a statement. 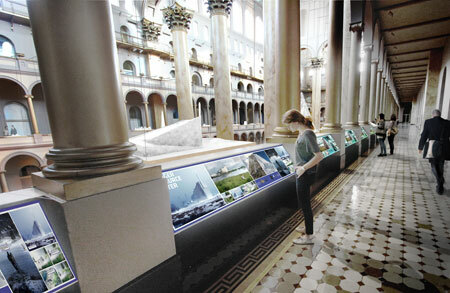 BIG-Bjarke Ingels Group Iwan Baan National Building Museum Photography Washington, D.C.